Do you know that to reach potential new patients, it’s best to employ new technology that many patients are increasingly using in their daily lives? The use of technology is considered one of the most important skills in marketing (source: International Association of Business Communications). Whether you are a marketing professional or a casual marketing person in a small business, such as in a dental practice, it’s always a good idea to try new technologies that brings you more in front of your target audience. Chances are, little effort that you put in today will bring you significant return. So what’s new in dental practice marketing and communication? In the past, we see ads on newspaper, billboards at train stations/shopping malls, and on radio. The new way is to bring your dental practice online. Use of the web has now become more common in everyone’s daily life and many dental practices now advertise on search engines such as Google as well. However, once a dental practice is found online, there are better ways to convert the inquiring potential new patients into actual new patients. What’s the secret? Offer a way for the potential new patients to know more about your practice, and book themselves in once they see something they like. Clinicbook offers dental practice the ability to create an elevated profile that will rank the dental practice higher on search engines such as Google. It will also integrate with dental practice’s Facebook, Twitter, and other social media pages. Better yet, dental practices that use ClearDent can enable online booking as ClearDent and Clinicbook are fully integrated. You can choose what kind of appointments are okay for patients to book on their own. 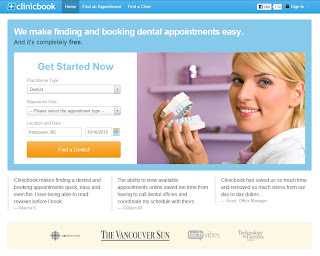 Dental practice using ClearDent and Clinicbook typically allows at least “New Patient Exam” to be booked online. The main reason is the ease of use to the potential patient. Imagine a new resident in town looking for a dentist. Moving to a new city can sometimes be stressful, but online booking is 24/7 and can be done at the patient’s comfort and convenience – this is just perfect! Similar to Clinicbook, HealthAware offers elevated profile, reviews, integration to social media, and online booking. ClearDent and HealthAware are also fully integrated and dental practices using ClearDent and HealthAware can enable online booking. 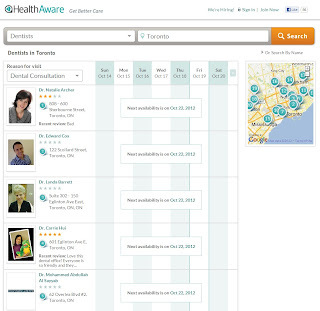 HealthAware is much widely used than Clinicbook in Ontario. 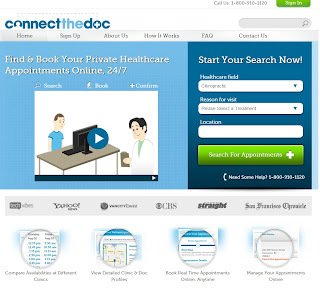 Connect the Doc also provides patients with search and booking online and is an alternative to Clinicbook and HealthAware. 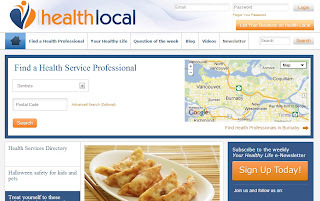 Health Local is another alternative to previous three websites. Connect the Doc and Health Local do not have "Reviews" section whereas Clinicbook and HealthAware allow people to write and read them. 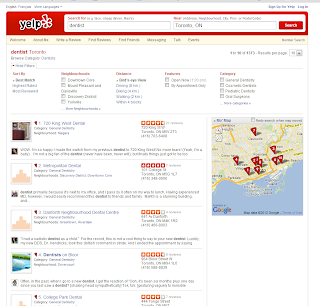 Yelp is a listing of local businesses and users write reviews, post pictures, and rate them. Many people might consider Yelp as a restaurant review website, but you will find many healthcare-related reviews including dental offices. You can set up your business account for free and post your latest information there. Although you will not be able to control negative reviews, you will be able to respond them as a business owner. If you would like to see how ClearDent can work with Clinicboook, HealthAware, and Connect the Doc, please free to visit us at an event near you or drop us a note via our website or social network pages.